After my earlier card I returned my books to the library - I love the feel of a hard-backed book. I've gotten over the need to own them -- I simply don't have the room to store them. Of course I left my craft desk a mess, so before cleaning up, I stamped and heat embossed a few more of those Altenew Magnolias. I am hoarding my bristol paper since I have a long month to go before I can buy any more crafty supplies. I found a pad of Artist's Loft mixed media paper and used that. The Zig markers worked pretty well on that paper. I colored the marker on and blended with a water brush after heat embossing the image. I made 4 cards and they'll do for 4 different challenges. So lots of photos to come. For Inspired by all the Little Things I am submitting this card: I was inspired by the pink flowers and the touches of aqua/blue in the inspiration photo. My last post was sympathy card focused; another card I don't like making on the fly is a get well, feel better card. I like to have a few of these in reserve so they can be sent out quickly. I recently depleted my stash. 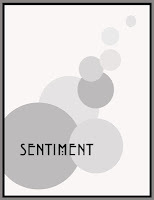 I tend to lean more to the feel better sentiment rather than the get well sentiment -- which do you prefer? 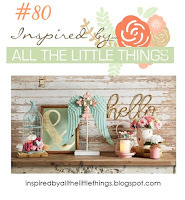 The Simon Says Stamp Wednesday challenge is to make your own background. I have three sets of stamps that I have combined from MFT, CTMH and WPlus9 to make these cards. Tonight I made two sympathy cards to have in my stash. One will probably be needed soon. My friend's son has a debilitating terminal disease and he has been declining for the last two months. 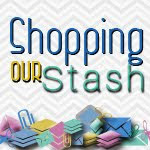 I'd rather have the cards in my stash, than to have to make one at a moment's notice. 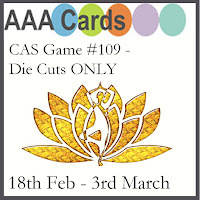 Two challenges AAA Cards and CAS on Friday have challenges to use die cuts I prefer to used botanical images and a simple sympathy statement on my bereavement cards. 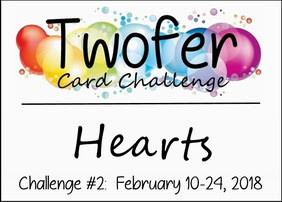 I an a bit partial to the first card, it feels more CAS so I am entering that one to both challenges. I picked out 1 word die set and two botanical dies. The botanicals were cut from vellum, and the sentiments from the same cardstock as the card panel, but I made it a bit darker with a copic marker. The vellum pieces were a bit too light and a bit too light weight. I doused them with versafine and covered them in silver pearl embossing power and heat set them. That gave them a bit more body, and made them more visible against the panel. All pieces were glued down using Elmer's craft bond (spray adhesive). These were very difficult to photograph, this was the best I could do. I am taking a bit of license in making my Hydrangea more purple than blue, I love purple and green together and at Color Throwdown the colors this week are Purple, Green, Gray, and white. The sketch at Freshly Made sketches gave me a jumping off point. I am also adding this to Winnie & Walters 4th Birthday Bash - Watercolor with a twist. I am adding shading with pencils. I have a slew of birthday cards to make and flowers will adorn most of the feminine ones. Instead of black ink I used versafine smokey gray to stamp the image and sentiment. The Olympics are keeping me in the mood to work on Christmas Cards for my stash. I have a goal of 5 per month. January went well, and here is the first of February's collection. I will likely make several of these cute snow-families. 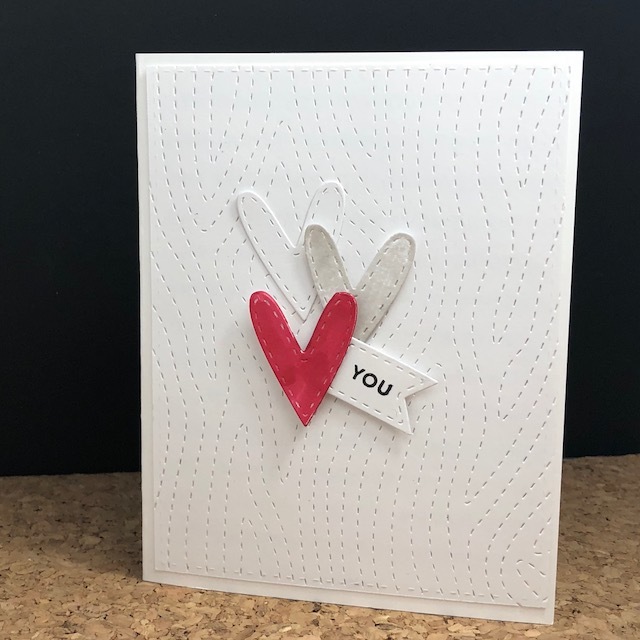 Tracey's card at Muse is a sweet Valentine, and I was completely taken in by her inked background with spatters. For my version I used a snow stencil to give some texture to my inked background and I went with Christmas as my holiday. Since I have a snowy scene with my stenciled embossing paste and glittered snow this card is also going to Words 2 Craft By. I stamped and masked off my snow family image (from Wild Rose Studio); I then sponged on the background blue with tumbled glass DI. After coloring the snow family with DI markers and a water brush I let them dry, and then added my blizzard with SSS Falling snow stencil and embossing paste. Before it dried I topped it with distress glitter in clear rock candy. I waited about 10 minutes then die cut the panel, added the sentiment and mounted it to a card base. Hi there, I am back to play in another of Darnell's Twofer challenges. 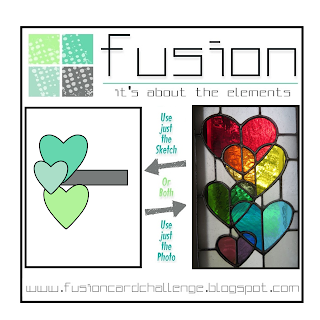 My twofers are using a die that gives an outline and inside heart pieces. The outline was used as is to outline some inked areas. The inside heart pieces were inked and then made into a dimensional flower with many petals. - Can you see the hearts? Although I have used the same colors on both cards, the cards have very different feels to them. There are a few more guidelines and a whole page of FAQ's all of which can be gotten to through the link above. 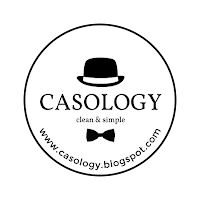 So first up is Casology Week 287 with the theme of together...my interpretation is that my hearts are grouped together! 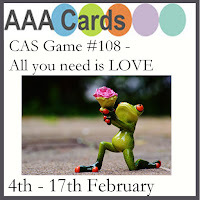 And a second entry for AAA CAS game # 108 all you need is love. 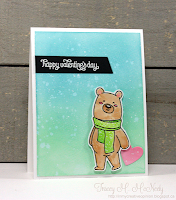 The background is from Lil Inker, and the hearts and tag are from Simon Says Stamp. The 'you' is from MFT. I am hoping hubs interprets the front as love LOVE LOVE you with each heart gaining intensity. Happy Valentines may you be surrounded by love of family and friends. I am avoiding finishing my Valentines...I have no idea why and they need to be in the mail no later than Friday. In the mean time I was doing a little cleaning and straightening in the crafty space. I tend to go immediately to organizing when I am avoiding things...I did it while I worked and I still do it. I was putting away a package of card stock I had gotten from Close to My Heart. There are several sheets of two sided papers all 12X12. I buy them for scrapbooking. There are some amazing patterns and papers and I do LOVE paper. In each pack there are 2 sheets of designs intended for those pocket scrapbook--or use compartmentalized sheet protectors. I have always found these to be a waste for me...but I haven't thrown them out. 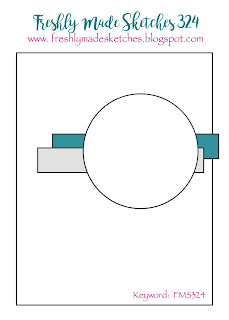 Its two sheets and one side has the images in portrait orientation, the other side in landscape orientation. I wish I had taken a photo before I started cutting up this set, but I did take a photo of it from the catalog. 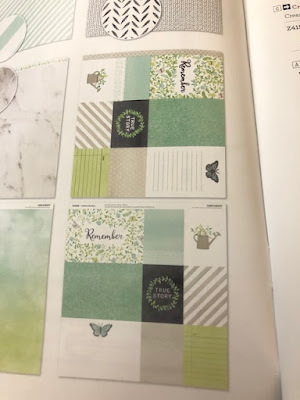 Those designs are not my cup of tea for scrapbooking...but I think they made some darned cute little note cards about 3.5 inches square. I added only the card bases and the bling in the form of glitter tape and some enamel hearts and dots. 6 cards out of 2 pages destined for the trash bin - I say that is a save. 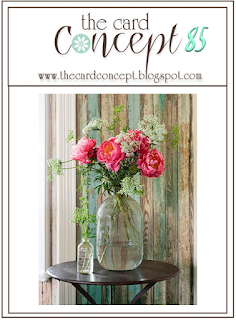 Hey There...I am seriously scrambling to beat the buzzer on the Card Concept challenge - rustic blooms. I got so wrapped up in my Valentine's I almost missed out on this challenge and it has my favorite elements - wood grain and flowers! 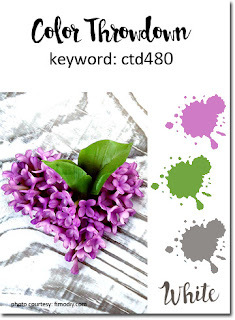 My woodgrain is from Stampin Up, and the bloom is from Altenew for this clean and layered card. Hi there from the early hours. I couldn't sleep so I thought I'd get some cards made and some challenges played. This card is for Addicted to Cas with code word Ombre. I tried several other cards and all were too busy...were is my CAS mojo...it probably went to sleep hours ago. I die cut a heart, then inked it up with distress inks overlapping them for a good blend. A simple sentiment was added to a vellum strip, the white space was too white, so I ran it through with a quilting cover plate. A bit of texture was needed. I chose the sketch, which I used a bit of artistic license on, but I can see the sketch - can you? I also used snowflakes and embossing. 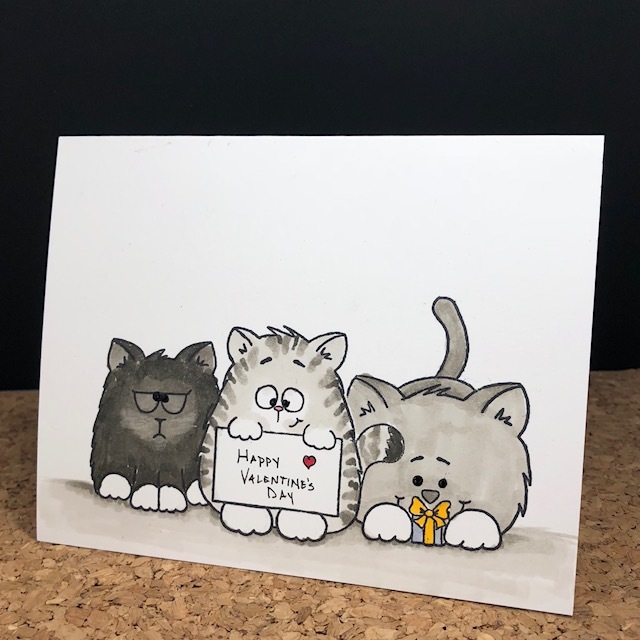 My card is going to Lorraine in England, and I hope she likes it! Hey there....can you hear me huffin? 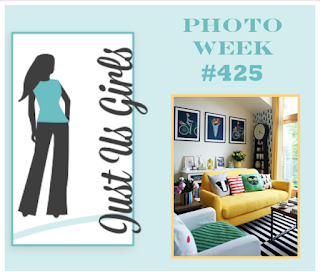 I am just under the wire to get this card in for the Photo Inspiration at Just Us Girls. I was inspired by that yellow couch, the striped black and white rug and the yellow blooms in the background. Anytime I can put yellow and flowers into a card I am gonna do it. I have to say of all the Altenew stamps and other multi step stamps I have this set called flower arrangement was so easy to layer. I shocked myself - that it took me only two tries to find the sweet-spot on the large bloom. You all will definitely be seeing more of these beauties.